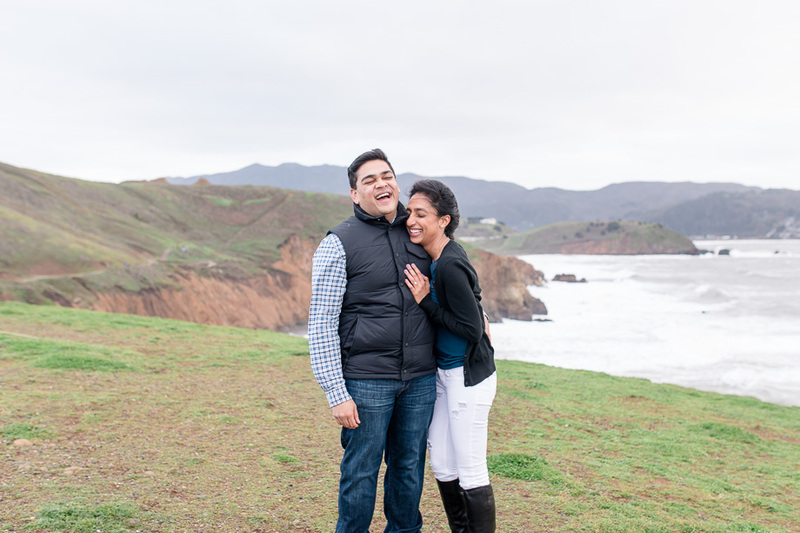 Savan and Priya flew across the country to the San Francisco for the long President’s Day weekend, and on Saturday afternoon they made the short hike up to the top of Mori Point with a couple of friends. 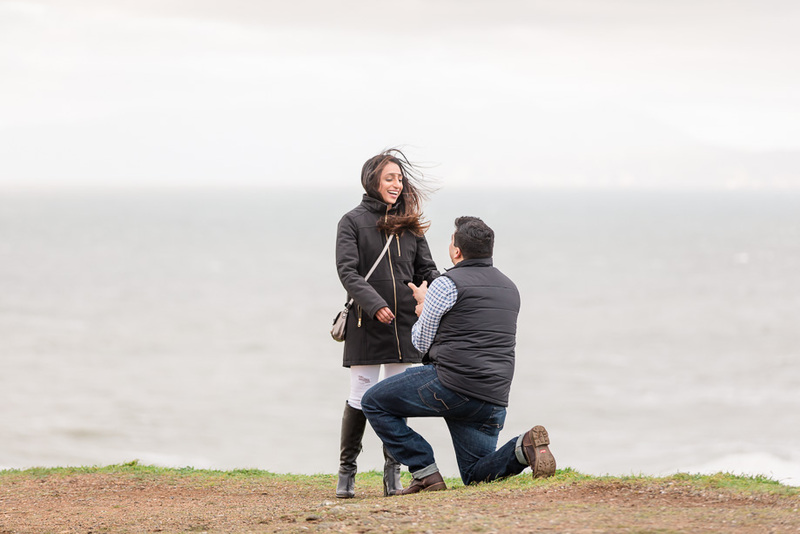 Priya, of course, didn’t know the real reason for the hike, and as you can see in the photos below, was quite happily surprised when her fiance dropped down on one knee and said the words! 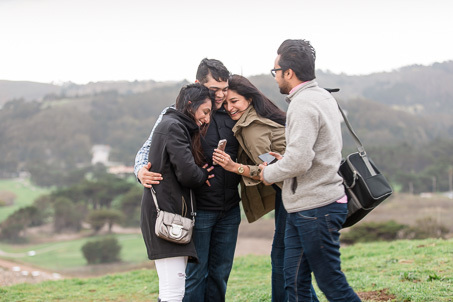 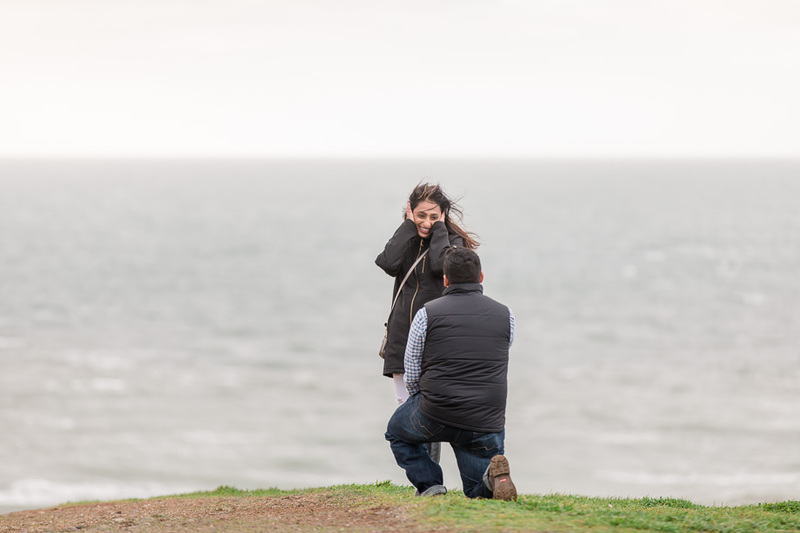 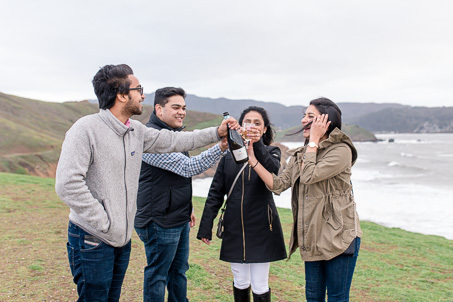 I’m extra glad that Savan asked me to come out and photograph this proposal, not only because it was such a joyous occasion, complete with champagne and FaceTime with family, but also because it finally got me out of the house to explore this area of Pacifica! 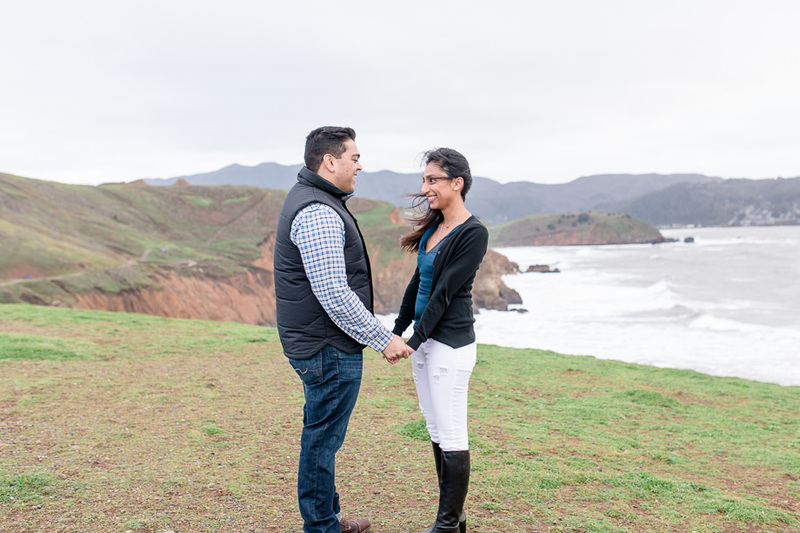 Mori Point is a piece of rock that juts out into the ocean, and from there, you can get a great view of the surrounding ocean bluffs, the City of Pacifica and its landmark the Pacifica Pier, and of course, the Pacific Ocean. 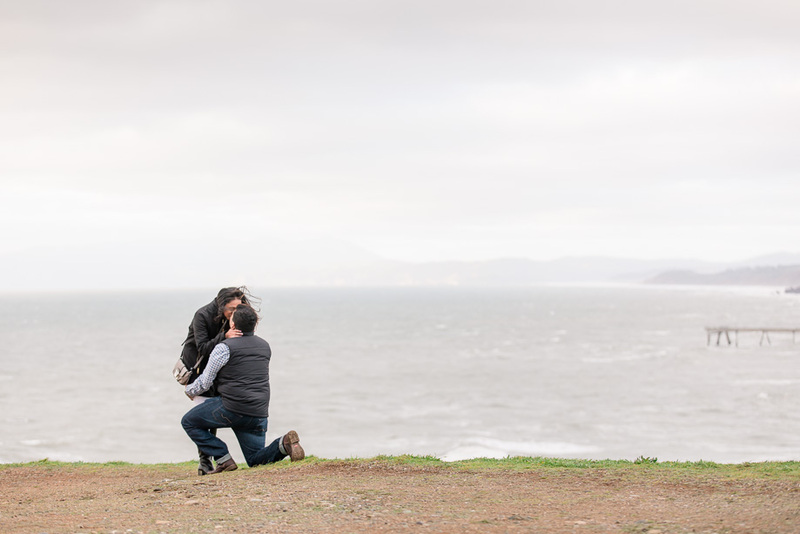 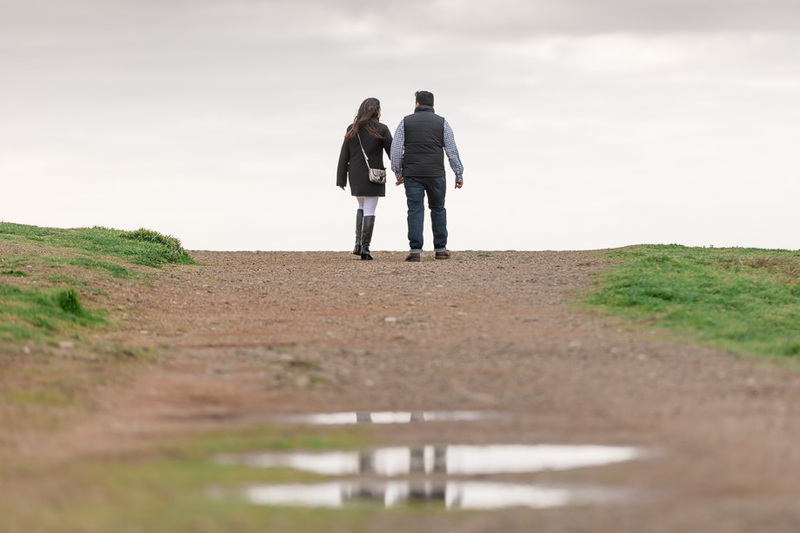 There aren’t many spots with a view quite like it, and it’s going to be quite a memorable spot for this lucky couple.